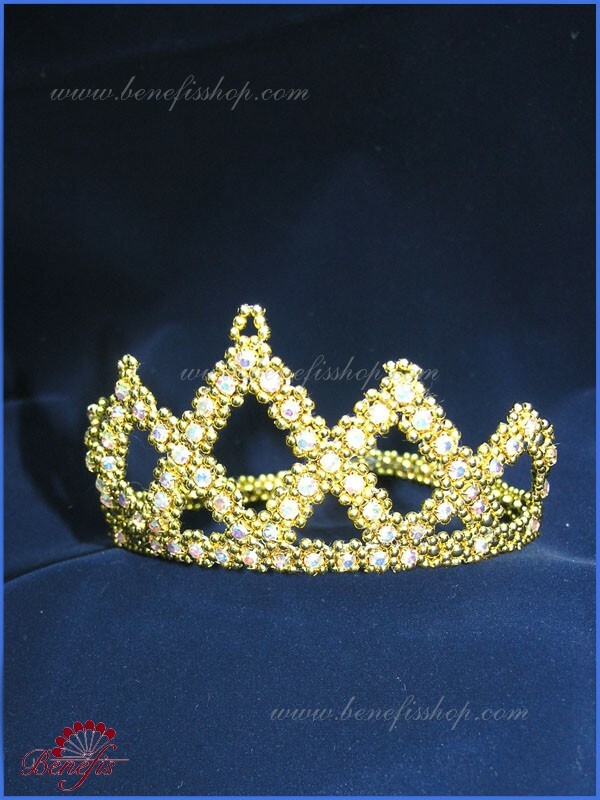 This headpiece is made of beads and shining crystals on metallic basis. The height of the item is 6-8 cm. 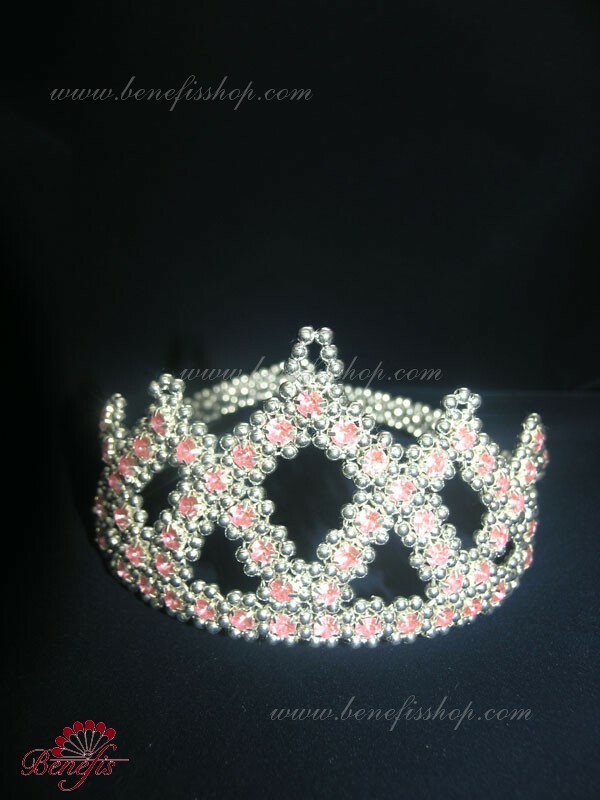 At the will of the customer, it can be made in different colors. 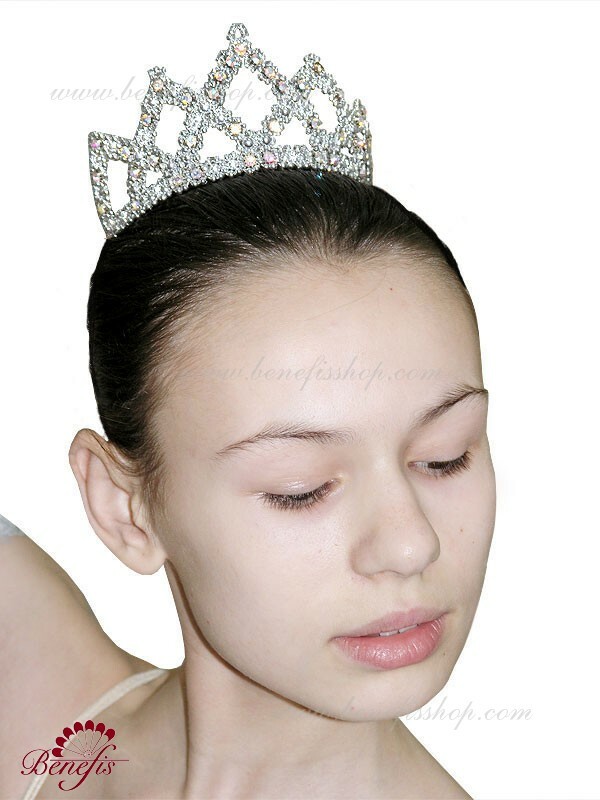 Special strengthening allows fixing of tiara to hair dress, with the help of hairpins. 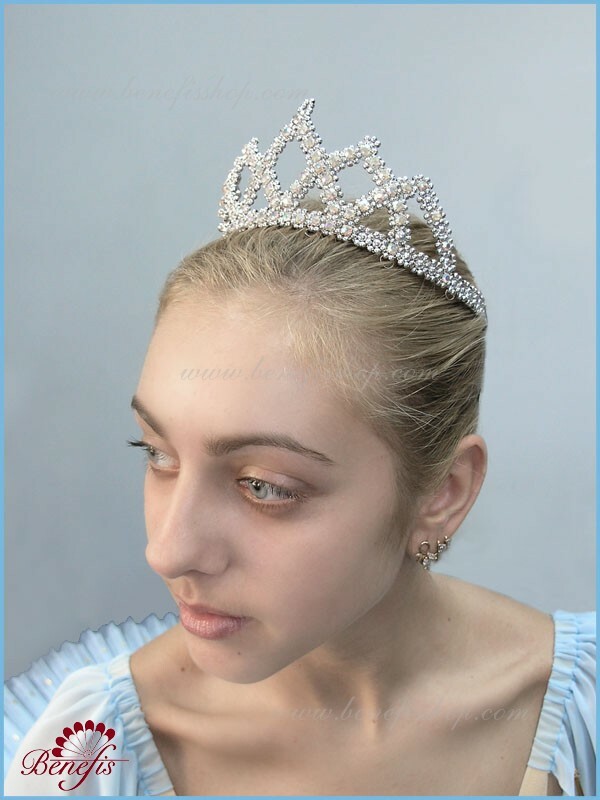 At the will of the customer the head piece can be made up to 10 cm, for instance for the beauty contests, and other aims (fairy-tale characters: queens, princess). 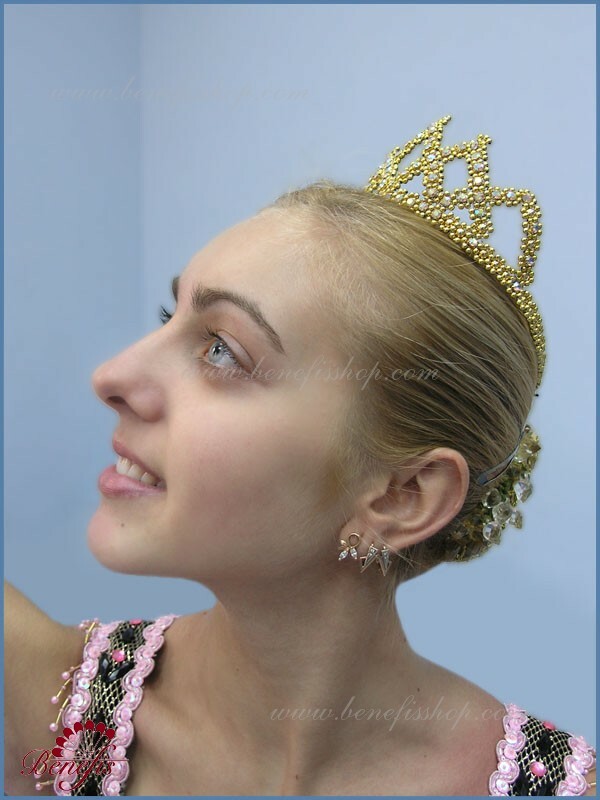 The tiara suits to many ballet and stage characters. Hand work.